You are here: Home / Crafts & DIY / Diy Decor / DIY area rug. Yep, you heard it right. I spent $20 on this baby. And you can too. These measured about 3feet by 2feet. 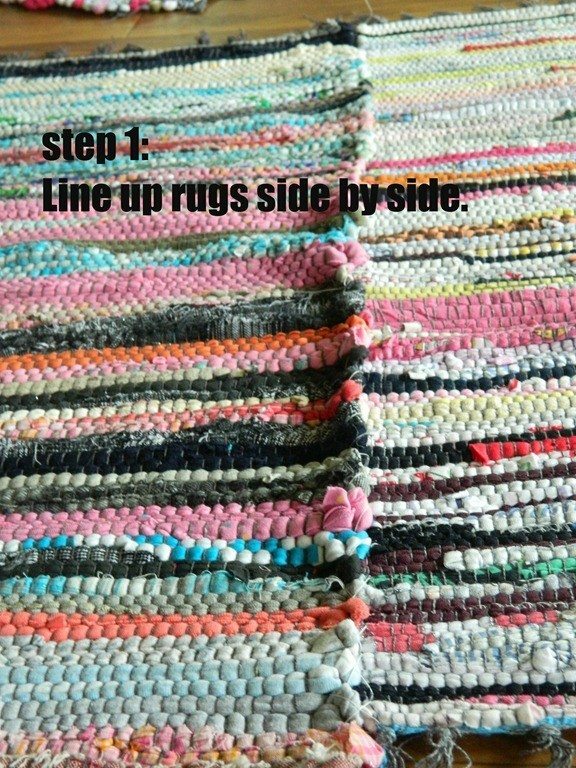 So, 10 rag rugs cost me $20 and my finished rug is 6 by 10.
it through the rug with. 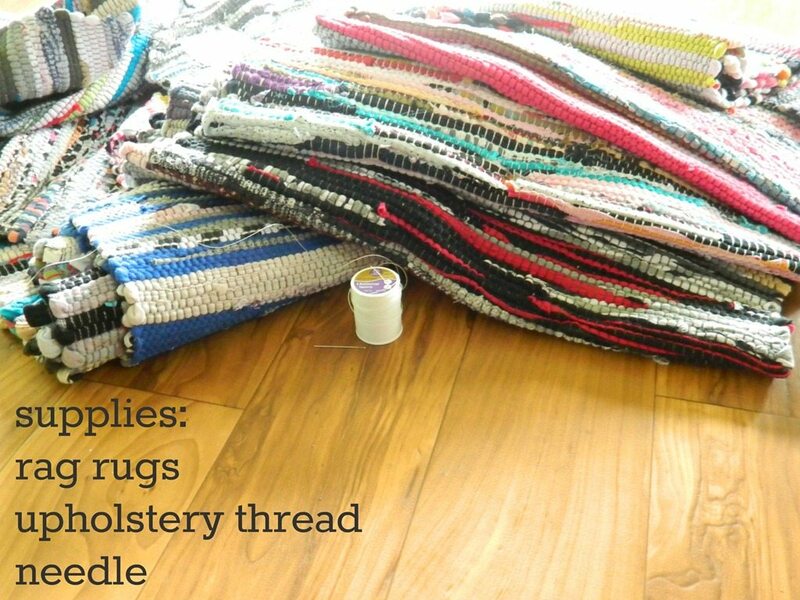 So…upholstery thread is the perfect solution. 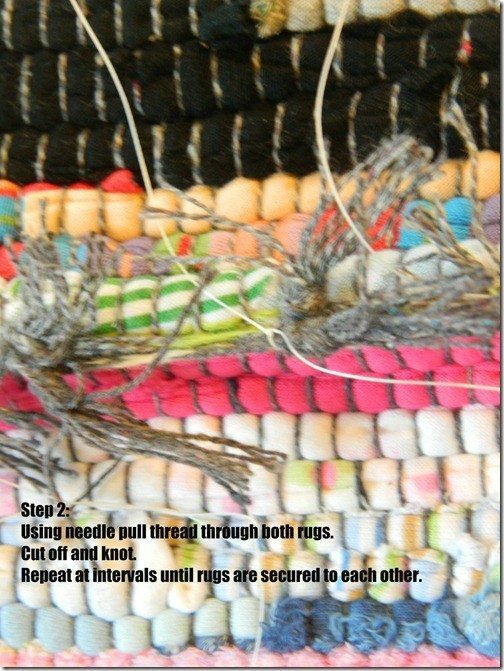 I also overlapped it a bit so it didn’t pull and gap after it was knotted. This was a good move and I would suggest it! I pulled the thread through, cut the length needed for knotting…and did it again. I did this again and again until my thread was gone. Then…I went back and knotted. It was much faster that way! 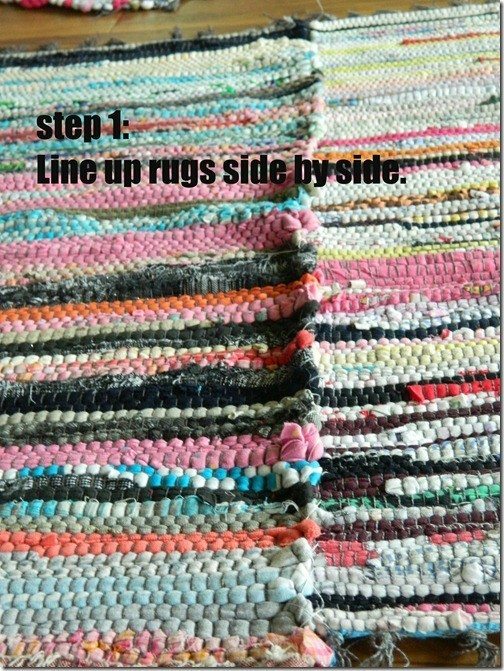 Rag rugs are cheap because they aren’t terribly perfect . 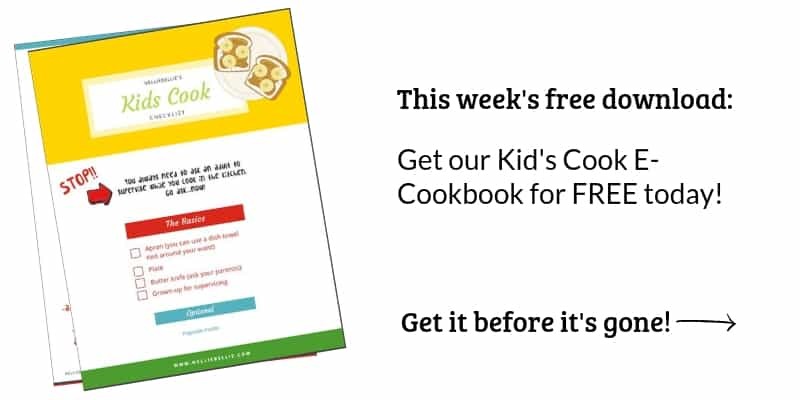 Perfect for the budget. Not so great for perfect symmetry. I made sure that one side was perfectly straight so it could be attached to the next row. But, the outer side was uneven. It has character and looks authentic. across the corners is a good idea. Now, I am still working on this room for revealing at the party on Thursday. 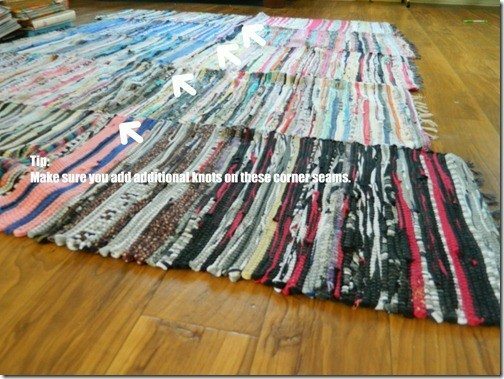 So, you see the rug…and a bit of sneaky other things. But…the rug…it’s lovely! It looks inviting, traditional, and fun. 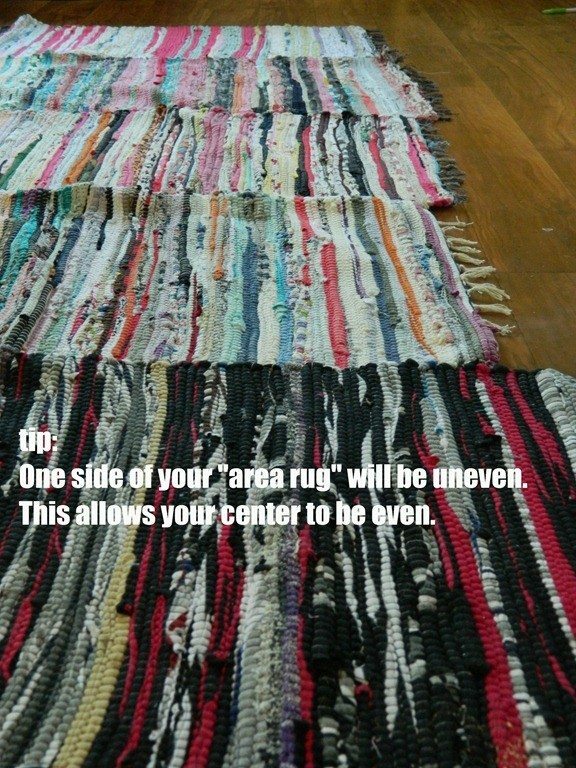 I love that I can swap out rugs when one gets dirty. 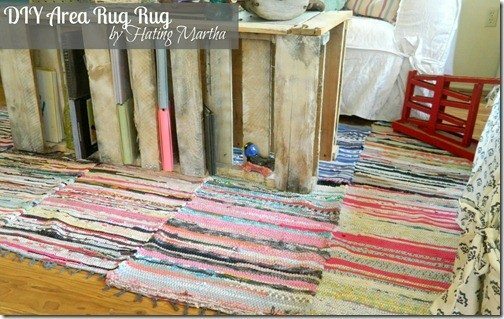 This rug took me about 90 minutes…not bad! 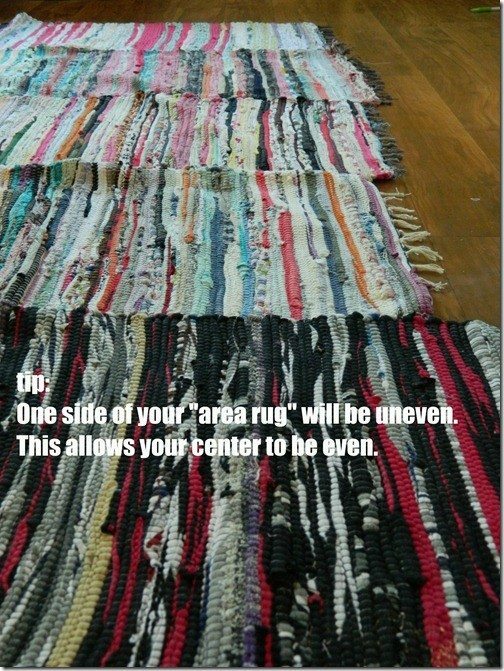 Create any size rug you want. Do you need one as big as mine? 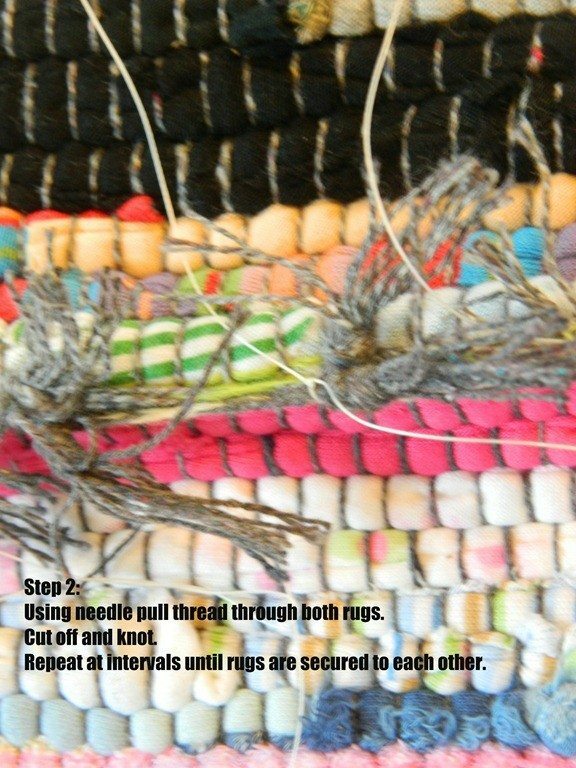 More rugs and time. 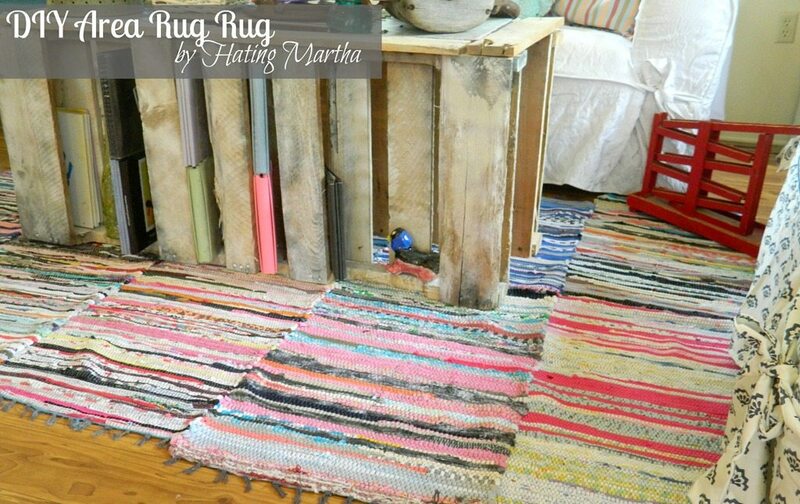 Maybe you have just been wanting a runner…less rugs, less time. Whatever you want…get to it! Which big box store did you buy them at? These are from Menards. But, I have seen them at Lowes, Home Depot, Ikea (cheap! ), and others. Usually under $5 each. Oh my gosh! I LOVE that you did a tutorial for this! While living in Thailand, I found a bunch of handmade small rugs and bought a bunch! 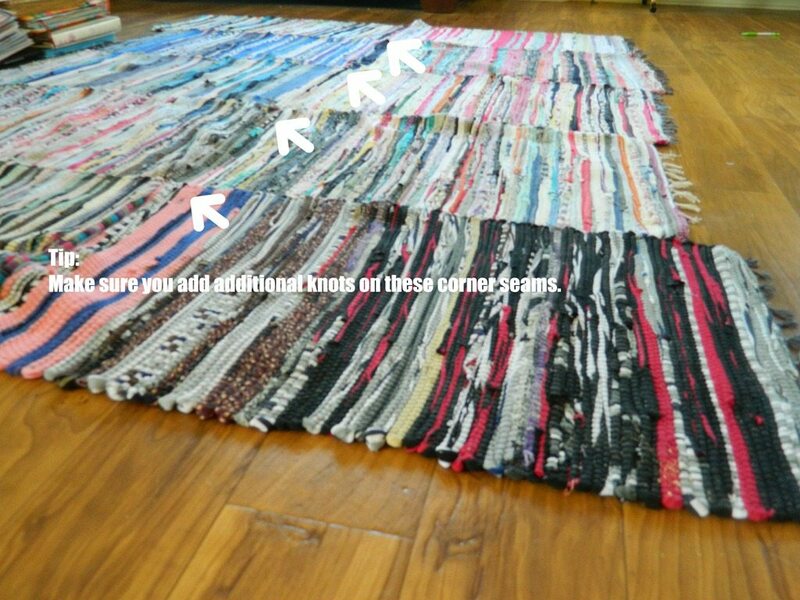 I too put them into one big rug and loved it until it (quickly!) fell apart. After reading your tutorial I now know what I should have done… Upholstery thread!!! Duh. :) I’m going to give it another try! Thanks! I think everything looks FANTASTIC! !